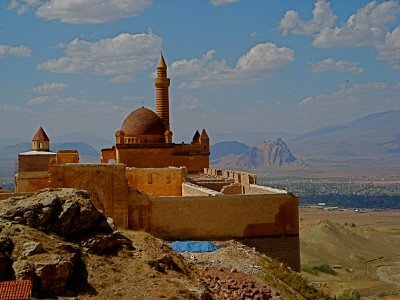 The Pasa Palace stands on the mountainside 6 Kilometers from Dogubayazit. 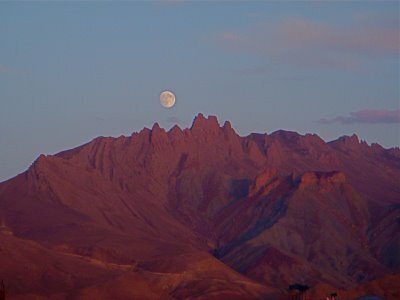 It is a magical setting; the castle perched on a small plateau that overlooks the valley. 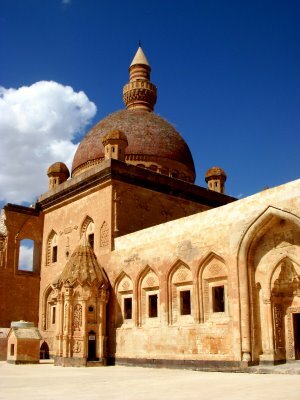 The palace has its roots dating back to 1685 by Colak Abdi Pasa that found its completion in 1784 by a Kurdish chieftain named Ishak. 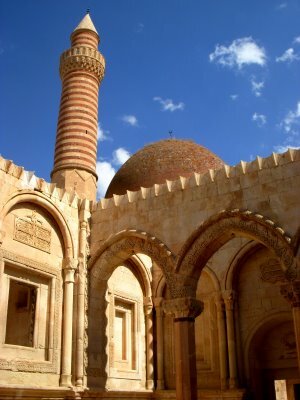 The architecture is splendid with the influence of Seljuk, Ottoman, Georgian, Persian, and Armenian styles. 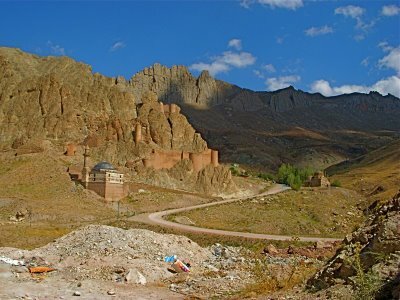 Up the road, there an old type of Mosque and the ruins of a fortress (the below picture) that is said to date back to the Urartian age from the 13th century to the 7th century BCE. 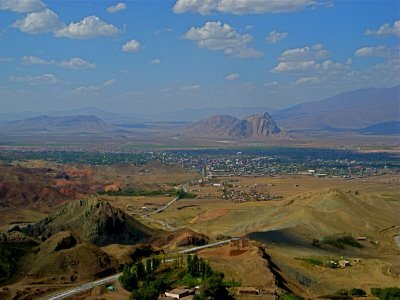 The Iran border is only 35 kilometers away, I would love to visit Iran, but there is no visa in my pocket. Although, by going through Iran, India is not far away, even so, I will be taking the long way around to India, situated so close to Iran, traveling that way is a temptation. This is one reason I like having a tentative route; my tentative route is based on my interest in history. In addition, it keeps my mind focused and organized, though, everyone has different styles of travel, and some people don’t want a tentative route. I have found a few new places I will be stopping at that are on my route here in Turkey. After visiting Kars, I am going to head toward Artvin and Yusufeli, an area in the Georgian valley that historically was the Medieval Georgian Kingdom in the 10th century. I have decided against heading to Georgia, because of the hassle of the border crossing. I guess once you cross you have to take a bus to the capital first before a person travels elsewhere in the country. A town called Rize, where they grow tea, will be one of the first towns on the Black Sea that I will visit. In the book of Genesis, Mount Ararat is the mountain Noah and the ark rested upon after the floodwaters subsided. The actuality of any archaeological evidence has never been found until recently. You can visit this link for more information. The location of the ark is not the importance of the story, humanity has a tendency to get distracted and miss the main point. The main point of the story in Genesis chapter 8 is that the intention of humanity is bad from its youth up. Indeed, this is still a reality of the world, though, we observe much love and light—humanity, and its ego causes the effect of abusive speech, judgments and hate that is based on selfishness, greed, and arrogance. This is a truly beautiful area of Turkey. Next post: Heading to Kars—Travel Blogs. 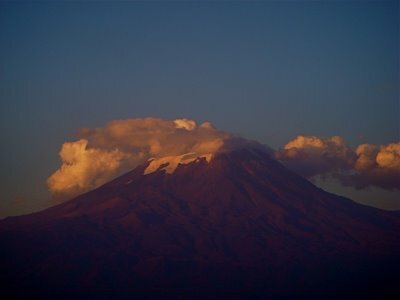 Previous post: Mount Ararat—Eastern Anatolia.